Last week, I left on a cruise out of New Orleans, I needed to arrive the night before and as I was searching for a unique hotel to stay in and decided on the Q and C Hotel. The long name of the hotel is the Queen and Crescent City hotel. The hotel was renovated in 2014. One of the reasons I picked the Q & C Hotel is the pictures online were stunning. Of course, pictures can be deceiving. However, that was not the case at this hotel! The room was beautiful. 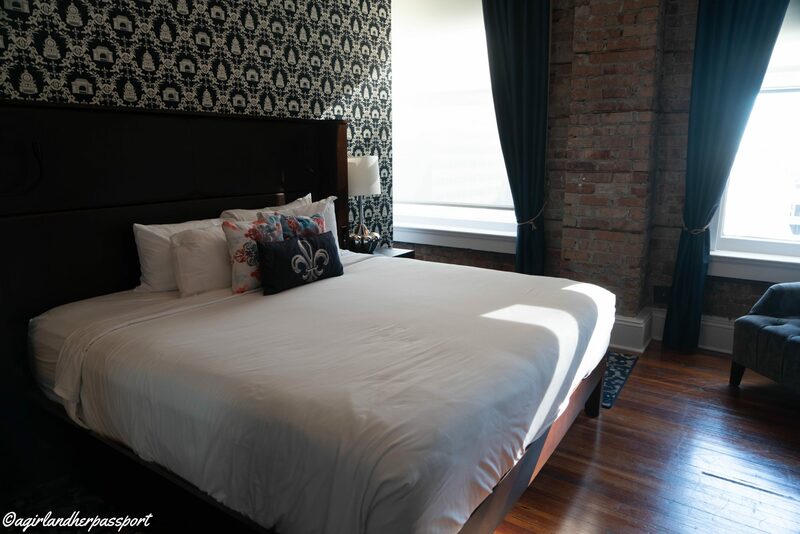 As I mentioned, the hotel is in a historic building and much of the original features have been maintained, including hardwood floors and exposed brick. The bed was very comfortable and had lots of pillows. Some were soft and some were firm, which was nice to have the option. Built into the bed frame were reading lamps and plugs. Actually, there were tons of plugs in the room, which I am always a fan of. The room is big but taken up by the best mostly. However, I found it was good for me. The bathroom was small but very nicely decorated. The toilet was too close to the wall and I am not sure why as there was plenty of space on the other side. The shower stall was narrow and if you are a larger person this might have been an issue. There was also no light in the shower stall making it a bit dark. However, I applaud the designers of the shower. The shower faucet was on the opposite wall from the shower head meaning my arm didn’t get drenched in cold water as I was turning it on. In the hundreds of hotels I have stayed in over the years, this has been one of the few hotels with this thought out correctly! 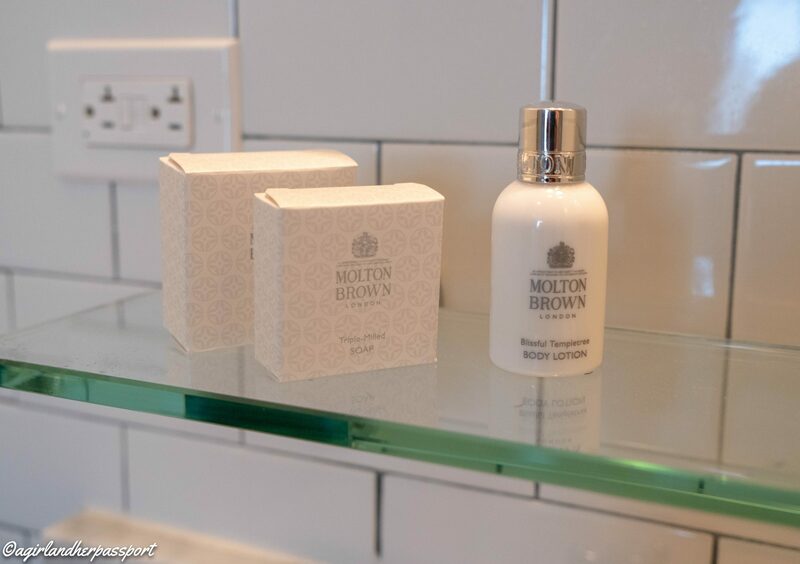 Another reason I loved this hotel is the Molton Brown bath products. They smell amazing and the shampoo and conditioner never fail to make my hair look good. Unfortunately for me the hotel was being environmentally friendly and had refillable bottles for the shampoo, conditioner and body wash. I did get to take the lotion with me! Much like the last boutique hotel, I stayed at in London, the reception area was more than just reception. Most of the lobby area was taken up with a bar/restaurant area. The food on offer is mostly light food and snacks. They do have a full-service bar and happy hour is from 4-7. If you arrive on a Tuesday-Thursday, they offer you a token for a free glass of their wine of the day. The reception area also has several comfy chairs and sofas to relax on. There are also plenty of plugs in reception if you need to charge your phone or get some work done. I drove to New Orleans from Dallas and New Orleans can be difficult to park in. Luckily, the hotel has valet parking. It is pricey at $39 a day plus tax. I did some research and this is actually one of the lower rates for valet parking in New Orleans. You could take the car in and out as needed. Having the car parked in a garage rather than on the street felt like a much safer option too. If you are looking for a gym, the hotel offers one on site. Many boutique hotels do not offer this service, so this was a nice surprise. Traveling with your pet? 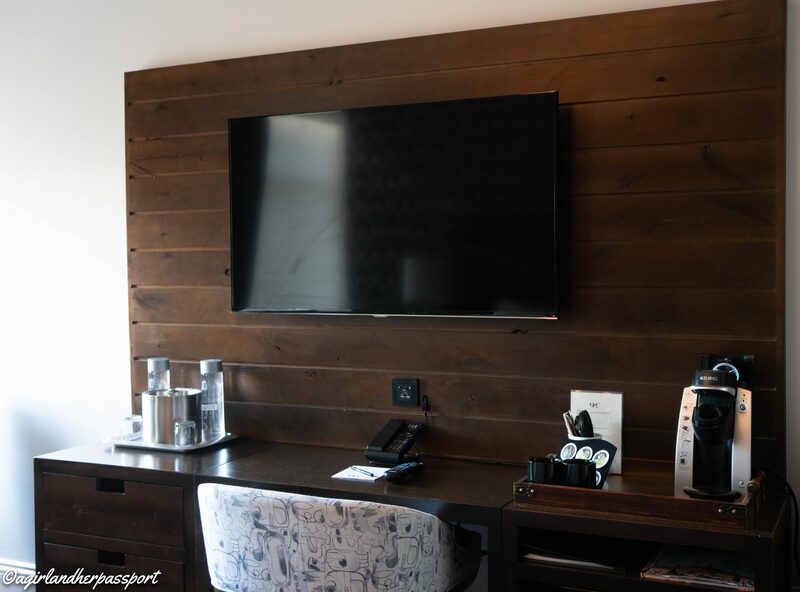 The Q and C Hotel is pet-friendly! I saw several dogs going in and out of the hotel while I was there. Check with the hotel for the other pets. 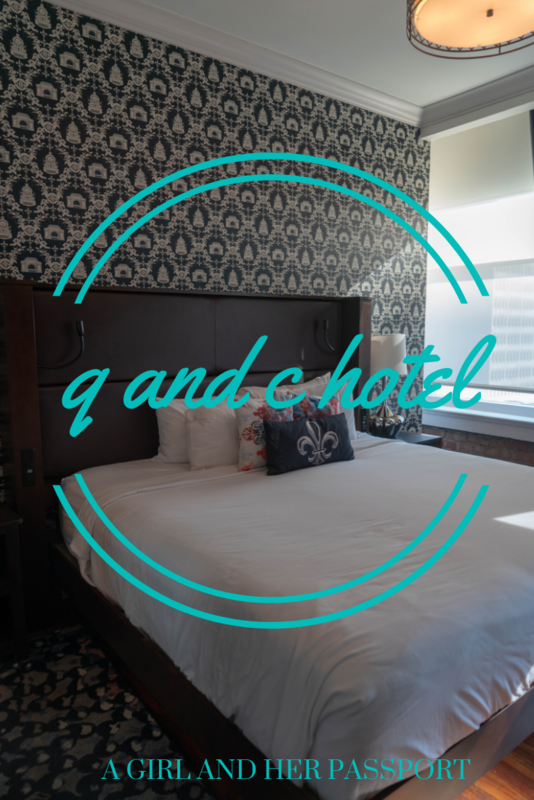 The Q and C Hotel is located in the heart of New Orleans. The French Quarter is less than a half a mile from the hotel. 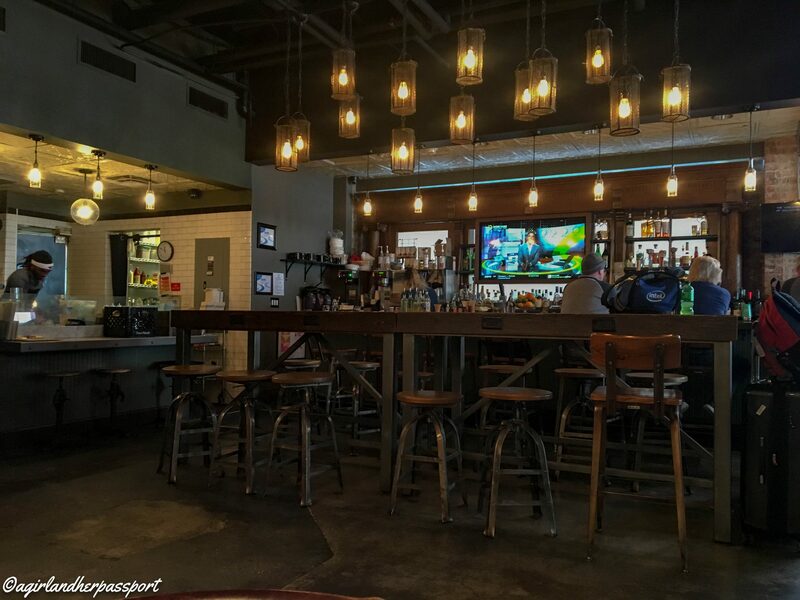 If you are going to New Orleans to party, then you are in luck as the hotel is also less than a half a mile from Bourbon Street. So not only can you walk back tipsy, but you can do so with your drink in hand. 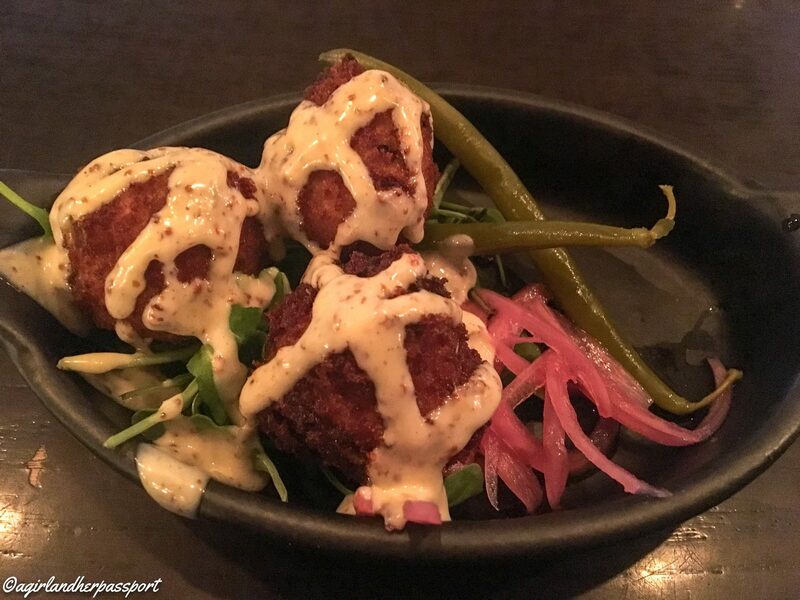 The Superdome is less than a mile making it a great choice if you are in New Orleans for a Saints game. Overall, you can’t beat the location. Check out rates at Booking.com and Hotels.com for the Q&C Hotel in New Orleans. Are There Any Medical Personnel On Board? Looks like a nice little hotel, really like the look of the bar and those snacks look delicious. Always tricky to decide where to stay in a new city so reviews and recommendations are great. Nice post. It is especially hard in a city with hundreds of options. Thanks! It was!! I wish I had more than one night. Lovely review, and great to hear that it’s a hotel that had loads of pillow options! I find that is often something most hotels tend to overlook and the right pillow for you can really make a difference to your sleep. 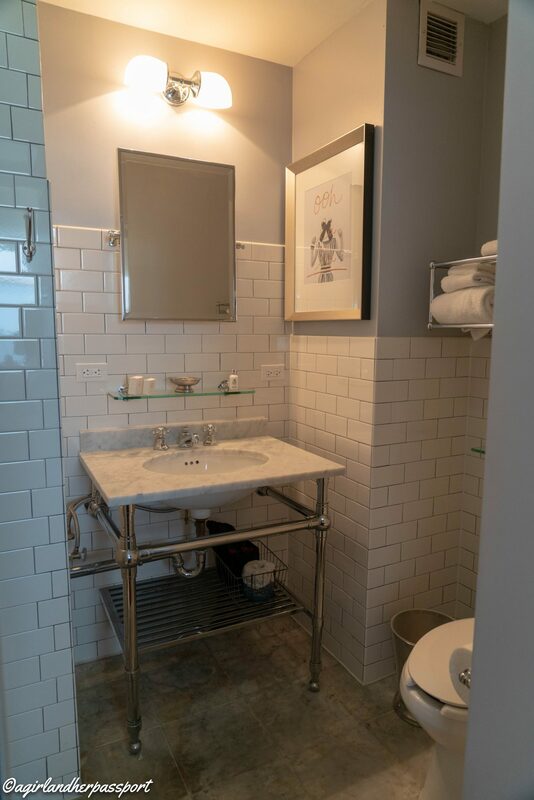 Also great details about the bathroom as these are the sorts of things many people need to know and often get missed out in reviews, so it was nice to see such a thorough assessment done. Thank you! It’s the little things that make a hotel room great!